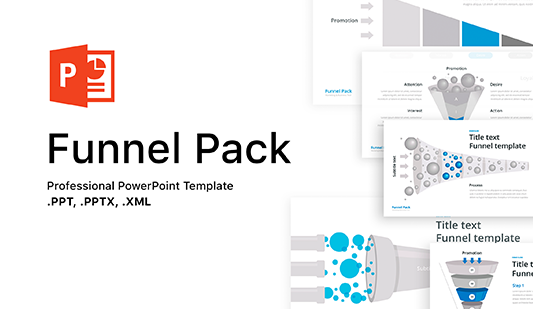 Funnel Diagram for PowerPoint - Free download Now! 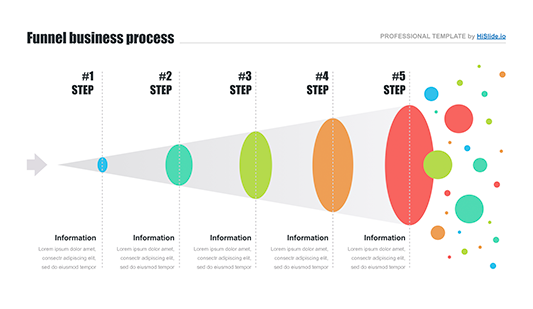 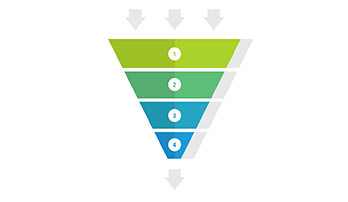 The funnel diagram allows you to visualize a linear process that has successive associated steps. 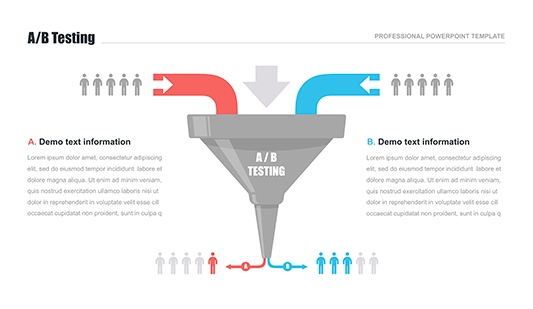 The shape of the funnel visually shows the state of the monitored process. 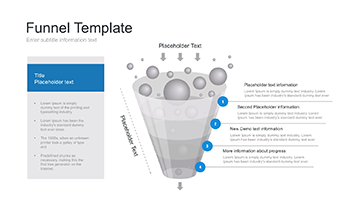 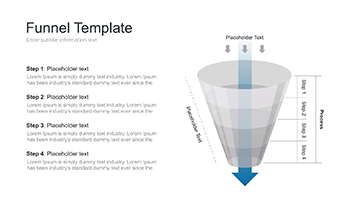 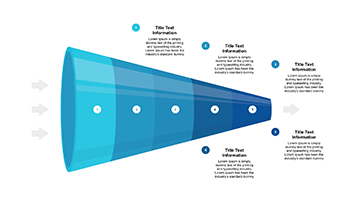 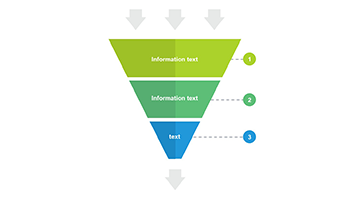 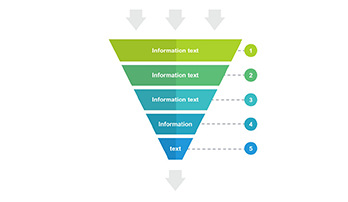 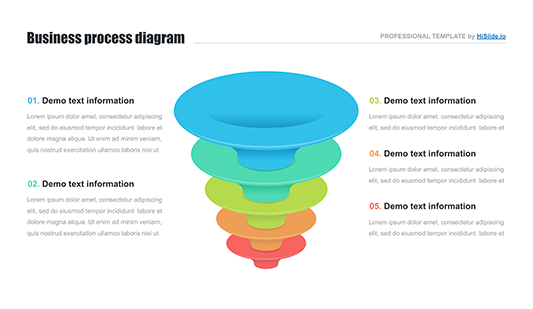 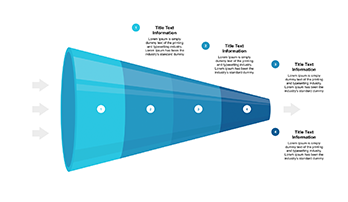 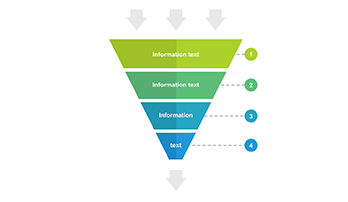 The Funnel diagram PowerPoint Template section includes a number of slides with the diagrams of such type that are widely used in marketing and business. 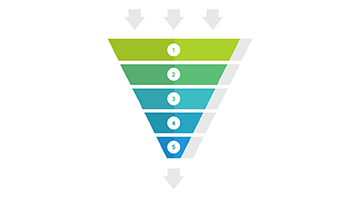 Each stage of the funnel represents a fraction of the total. 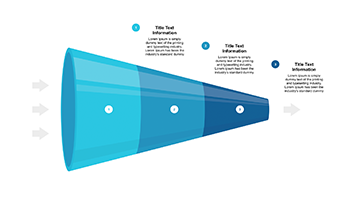 Thus, in most cases, the diagram has the shape of a funnel: the first stage is the largest, and each subsequent stage is smaller than the previous one. 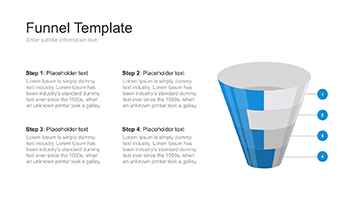 The ready-made slides gathered in this section will help you to cope with these tasks, simplify work, and make the presentation clearer, and more accessible.